As a general rule of thumb, 6mm stitched bogu tends to boast better longevity than stitchings of wider widths; however, the more narrow the stitchings the thinner and less flexible the futon will become. 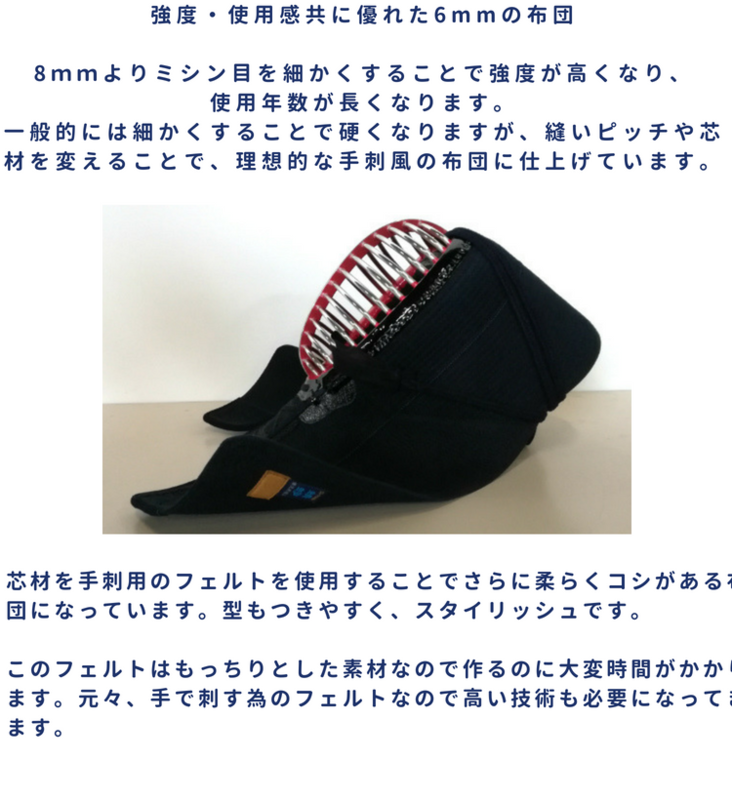 In order to combat this problem, we've added extra softness and flexibility to our "Aoi Tombo" by utilizing an innovative felt material. The felt itself is soft to the touch, yet maintains a certain degree of malleability which aids in maintaining the shape of the bogu. This material was original developed exclusively to be used in tezashi bogu; it is still a relatively uncommon material that takes is timely to produce. The texture of this bogu was also designed mimics that of a traditional tezashi set. 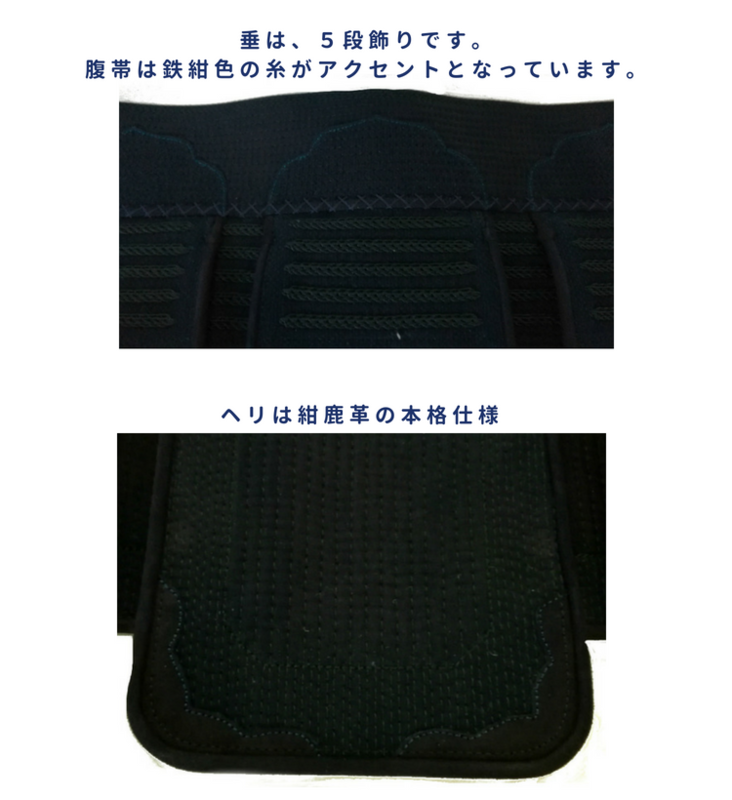 The futon is sewn by a technique called gunome zashi; the dark blue kazari ito further accentuating the sophistication of this set. In addition, the heri and tsukidare are made from high-quality genuine deer leather. 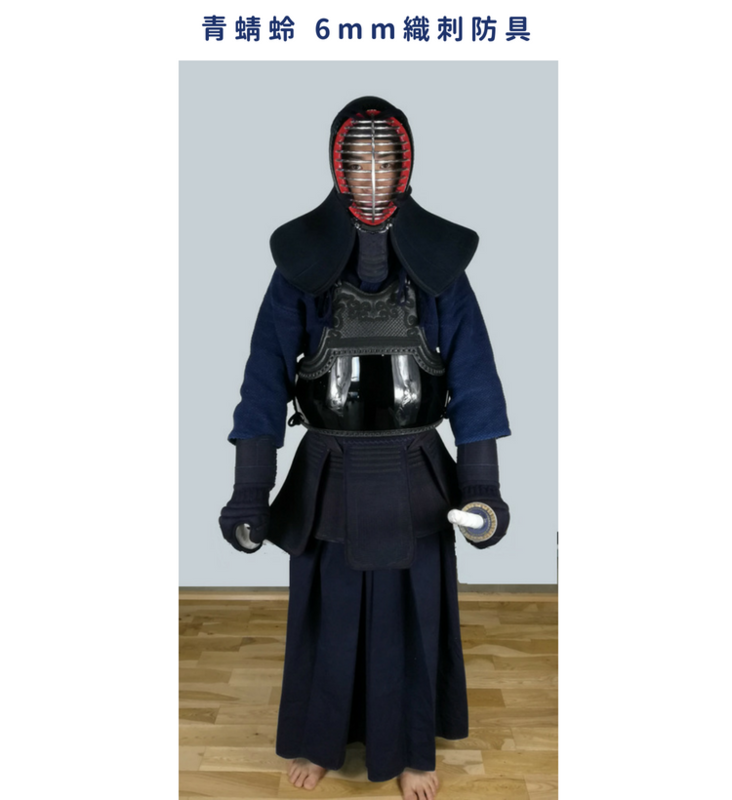 The tare boasts a 5 dan kazari accentuated with dark blue kazari ito on the haraobi. The heri of the tare are also made using genuine deer leather. 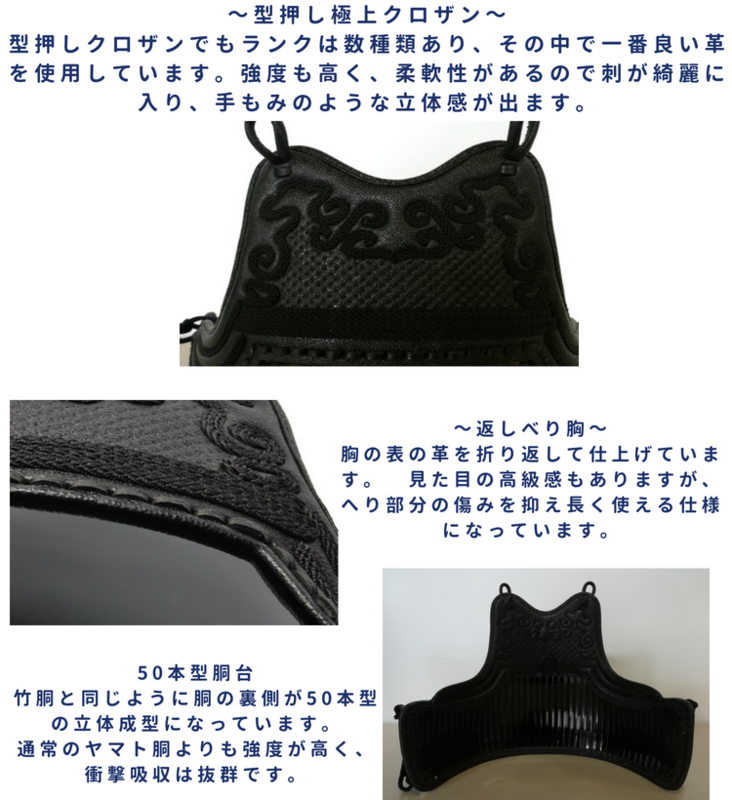 There are in fact many variances in the quality of kurozan leather on the market. Eiko has taken extra precautions to make sure that only the highest quality kurozan is used to in this set. High-quality kurozan is characterized by its hardy nature, yet will still retains a certain degree of softness which allows us to implement intricate kazari designs. Similar to the rest of the bogu, the do mimics the look of a tezashi bogu. 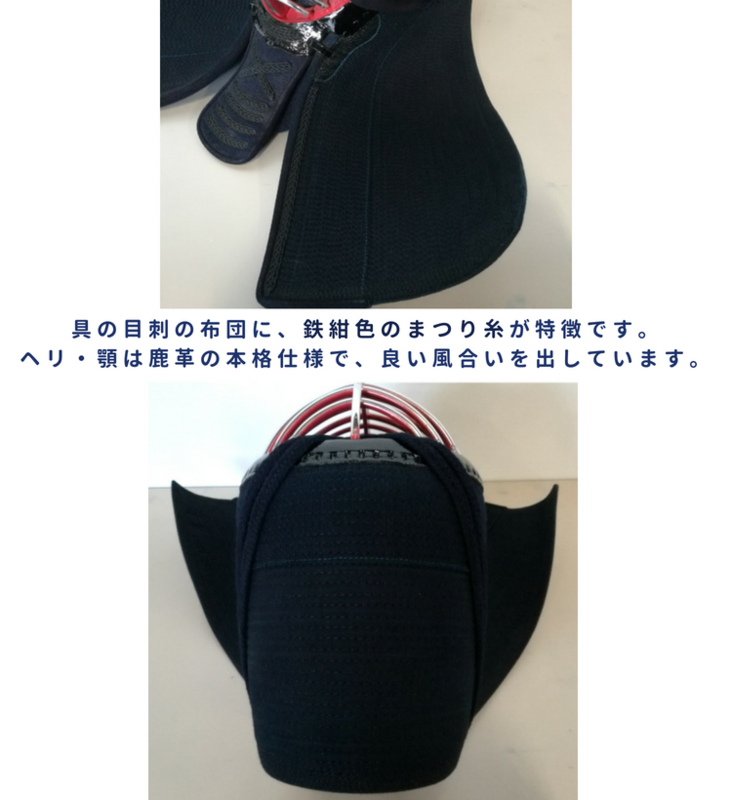 The kaeshiberi feature, as shown in the second picture below, is when the leather connecting the do to the mune is folded in on itself to create a smoothed out edge. 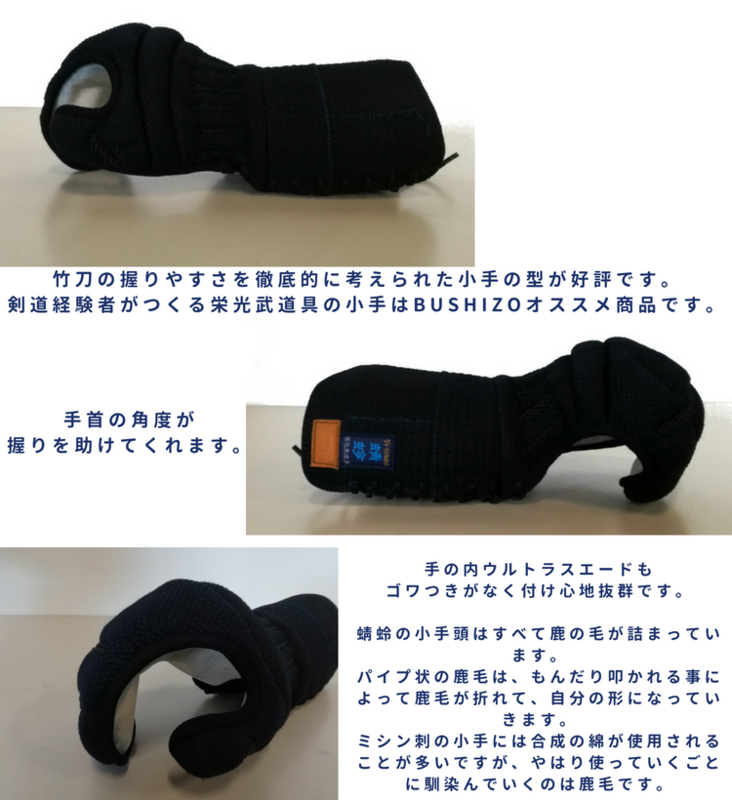 Beyond simple aestheticism, it functions to protects the heri from wear and tear long run. The dodai is assembled with 50 slates styled after traditional bamboo do. The slates offer superior shock absorption as well as longevity.